Chain mail was invented around 500 BC by the Celts and was used by the Romans before they wore suits of armour. 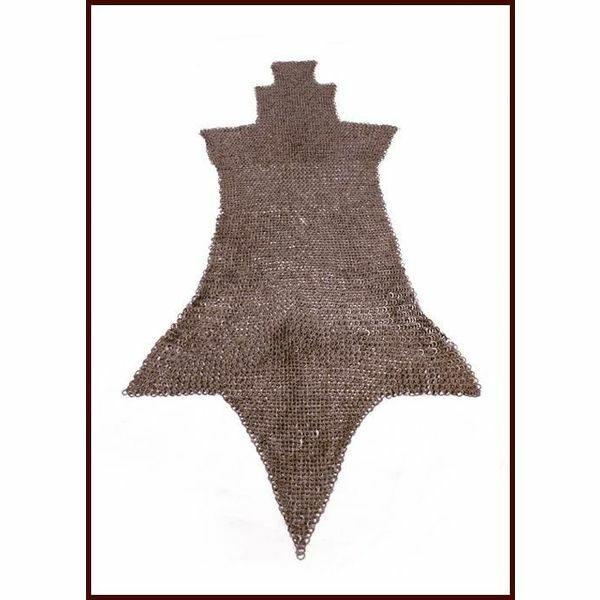 Chain mail was frequently worn in the Middle Ages when it became very popular. 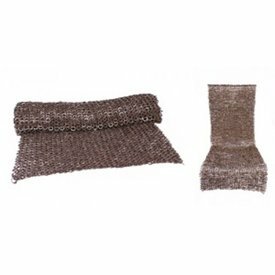 In the 13thcentury almost the entire body could be covered by chain mail. 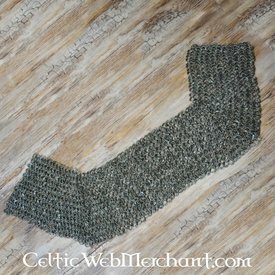 One of the biggest advantages of chain mail is that it is very flexible. A disadvantage is that it can be very heavy. This pair of chausses is made of 1,8 mm thick rings with a diameter of 8 mm that are woven together and riveted for extra security. Their length is 118 cm and they weigh 4,9 kg. The upper width is 60 cm, the lower width is 46 cm.